The Philippines' leading airline, Cebu Pacific (PSE: CEB) keeps its lead in the Manila-Sydney route, capturing the largest market share for both passenger and cargo services as of April 2017. 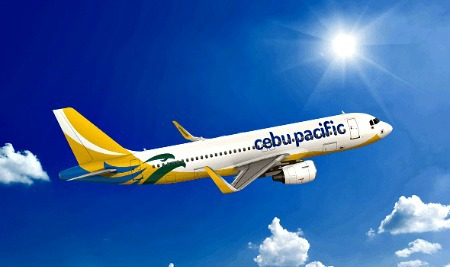 CEB is the only Low Cost Carrier flying between Manila and Sydney, Australia. Data from Australia's Bureau of Infrastructure, Transport and Regional Economics (BITRE) showed that CEB flew 16,441 passengers in April alone, representing 41.8% of the total market share for the Manila-Sydney route, the highest among the three carriers flying this route. This brings the total number of passengers flown by CEB to 59,953—representing 41.7% market share. Its closest competitor, on the other hand, captured 33.5% market share. Load factor for CEB for the Manila-Sydney route was at an average 80% for the first four months of 2017. Year-on-year, total passenger volume for the first four months of 2017 of all three carriers plying the Manila-Sydney route reached 143,765, up 12% versus the 128,352 passengers flown in the same period in 2016. For cargo service between Manila and Sydney, CEB captured 43.8% market share of the total 789 tons carried in April 2017. From January to April 2017, CEB had 47.4% market share of the total 3,114 tons of cargo carried for that route. The total cargo volume for the first four months of 2017, however, is 30.6% lower than the 2,128 tons carried in the comparable period last year. "Since opening the Sydney route in 2014, we are proud to have contributed to the growth of trade and tourism between the Philippines and Australia, through the introduction of year-round low fares that are affordable and accessible to practically everyJuan. Today, Sydney is one of the top international routes in and out of the Philippines. The strong growth of our Manila-Sydney route bodes well for our future expansion plans in the Australian market," said Atty JR Mantaring, Vice President for Corporate Affairs of Cebu Pacific. BITRE, an agency under the Department of Infrastructure and Regional Development of the Australian government, "provides economic analysis, research and statistics on infrastructure, transport and regional development issues," according to its official website (https://bitre.gov.au/). The bureau holds data and statistics on the aviation industry. Cebu Pacific currently offers the most number of seats between Manila and Sydney, operating up to five weekly nonstop services between Sydney and Manila, departing every Tuesday, Wednesday, Thursday, Saturday and Sunday from Sydney at 1135am and arriving Manila at 550pm. The flights from Manila to Sydney, on the other hand, depart at 1205am and arrive Sydney at 1005am. The airline had recently expressed interest to increase frequency between Manila and Sydney, noting strong demand for this route. CEB's 61-strong fleet, comprised of 4 Airbus A319, 36 Airbus A320, 8 Airbus A330, 8 ATR-72 500 and 5 ATR 72-600 aircraft, is one of the most modern aircraft fleets in the world. Between 2017 and 2022, Cebu Pacific will take delivery of 7 Airbus A321ceo, 32 Airbus A321neo, and 11 ATR 72-600 aircraft.